Hoagies' Blog Hop: March Math-ness! Some people cringe when they hear those words... Math is fun. Fun? Yes, FUN! Math is all about numbers and patterns and graphs and statistics. It's about fractals and computers and nature and ... life! Nothing makes you reflect more on your own educational history than suddenly and unexpectedly homeschooling a gifted child. And nothing makes you more aware of your personal insecurities. I have been frustrated with math worksheets which appear to make something simple way more complicated than it needed to be. I love art, but I am skeptical that illustrating an equation will help my boys attend MIT someday. 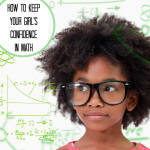 Rather than reminiscing about how I learned math as a child, I've attempted to understand and embrace the different methods my kids learn in school. I have had to swallow my frustration, and restrain my eye rolling on a few occasions. Figuring out your child is gifted and may not think like other kids doesn't hit you like a thunderbolt. At least it didn't for me. It was a gradual process with little clues along the way. Many of them ignored or just not recognized. I imagine you have some interest in mathematics especially around your children's individual progress. You're looking for interesting resources to enrich at home. Perhaps you're worried about the school curriculum and are considering after schooling etc. In many ways this was the position I found myself in a few years ago. I'm deeply interested in math and wanted to pass that on. So as my own children began entering school I started discovering what resources existed in my backyard. How are aliens related to math? The answer is: in every possible way! From science fiction, to popular culture, to UFO organizations, and even a famous jerky shop half way between Los Angeles and Las Vegas named Alien Fresh Jerky, extraterrestrial life pervades our imagination. The question is: if they are out there, where are they?